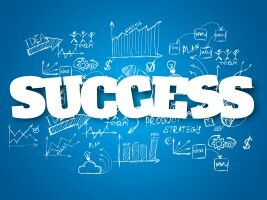 To achieve a higher level of success in 2016, you need to consider several things. In addition to taking everything you already know into account, this is the time to open yourself up to new experiences. Mentoring—To grow your business, learn from people that have already achieved goals of success. Consider having a mentor—someone who can offer support, guidance, and honest feedback. Face Challenges—Challenge yourself, which actually serves as a huge motivator. Instead of shying away from potential problems or believing that something is too complex to tackle, face challenges head-on with determination and dedication, finding viable ways to work through them. Believe—To succeed, you must believe in yourself, your business, and the product and/or service that you sell. Otherwise, efforts are wasted. You want to adopt a new sense of achievement, believing that you can and will overcome obstacles in the quest for success. Vision—You need a vision of how the company should operate and what you want it to be. This will help you focus on the things that need to happen in order for that vision to come to fruition. Surround Yourself with Good People—Your company is only as good as the people involved. For 2016, you may need to make some difficult choices to ensure that you have managers and workers that give 100 percent in pushing the business to success. Take Action—Even with an amazing products and/or service, unless you take your creative ideas to the next level, the chance of your company growing is slim. Instead of dreaming or talking about the “what ifs,” do something. Good Management—The way your business is managed also plays a critical role in the level of success achieved. You need managers that motivate and lead by example—those who encourage workers to excel at all levels. Make Appropriate Changes—Pay close attention to the operations of your business, looking for areas that require change. For example, if a credit card processor is not in compliance with the laws, this creates substantial risk. By being aware of potential pitfalls, you have the opportunity to make necessary changes that protect the company and help it grow. Know the Customer—A vital key to success is knowingthe customer. Unless you know who your customer is, the type of service and/or product they want, and the level of attention they demand, success will be hard to reach. Remember, you are in control of your own destiny. However, instead of thinking that you can do everything on your own, realize that sometimes the best course of action involves seeking professional assistance. If you need help with marketing, choosing a system for credit card processing, social media, mobile applications, E-commerce integration, or other like services, turn to a company like Chosen Payments.